The MIC programs are multicultural in its essence and therefore it has study trips to Thailand, Lebanon and within Switzerland. 6 weeks of classes, held at Università della Svizzera italiana in Lugano, Switzerland. The Executive Center is entirely reserved for Executive Masters, which is an exclusive part of the university. 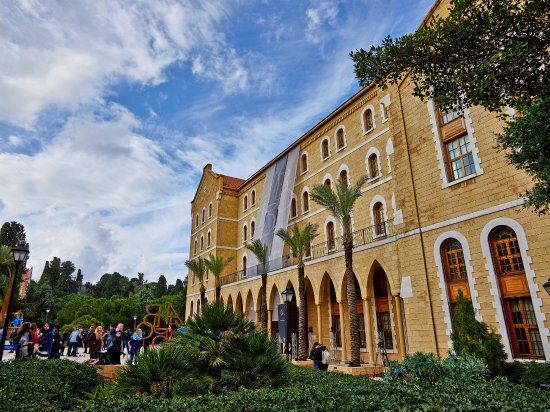 1 week of classes will be held at American University of Beirut, Lebanon. 1 week of classes will take place in Lausanne, Switzerland, at the Swiss Institute for Comparative Law (ISDC). It will include visits to selected Swiss federal institutions in Bern and international organizations in Geneva. 1 week of courses will take place at Kasetsart University in Bangkok, Thailand. *Locations are subject to change. Executive Masters programs are held in the Executive Center, located in the historic neoclassical main building. The two classrooms have been designed to ensure a high level of interaction. Their climate control, high quality of technical equipment for instruction and the comfortable interior design ensure an ideal learning environment. The Executive Center is also equipped with breakout spaces for group work and a business area, where participants can use facilities necessary for keeping in touch with their organizations during their stay in Lugano.